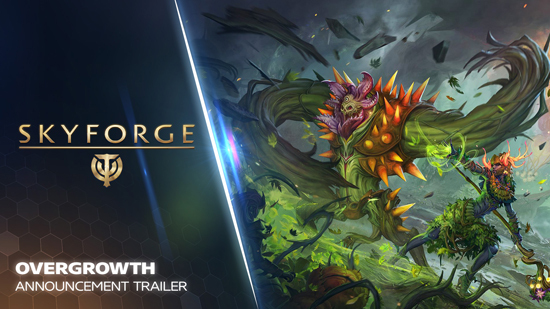 ‘Overgrowth’ will be the next free expansion for MMORPG Skyforge, announced proudly by its developer Allods Team and its global publisher My.com. This expansion introduces a wild new class for players to unlock, called the Grovewalkers. They are highly proficient mages that sling wild nature magic at their foes from afar. Though initially nimble in appearance; they can call upon the protection of their living armour and morph into hulking frontline tanks. A sight to behold and a feature that will transform combat in Skyforge forever! ‘Overgrowth’ will also let players rediscover Aelion through reworked story missions and completely new challenges system! The expansion is planned on April 11th for PC and on April 12th for both Xbox One and PlayStation 4. Skyforge welcomes back a long-lost visitor; Tessa, the Goddess of Flowers. She revisits Aelion with a call for help. Nature itself has become corrupted and formed a new Phytonide invasion army that has driven her from her home planet and is following her on her heels. The Goddess nurtures hope by bringing her children to Aelion, the Grovewalkers. They are immortals with a strong grasp on nature magic and,a strong grasp on nature magic and, unlike some of their weaker siblings, incorruptible by the enslaving voice of the Phytonide leader. Players can already dive into the game, help Tessa and participate in the pre-release questchain that is available now! Early adopters will get sweet pre-order bonusses for purchasing the Grovewalker Collector’s Edition before its release early April on PC, Xbox One and PlayStation 4.